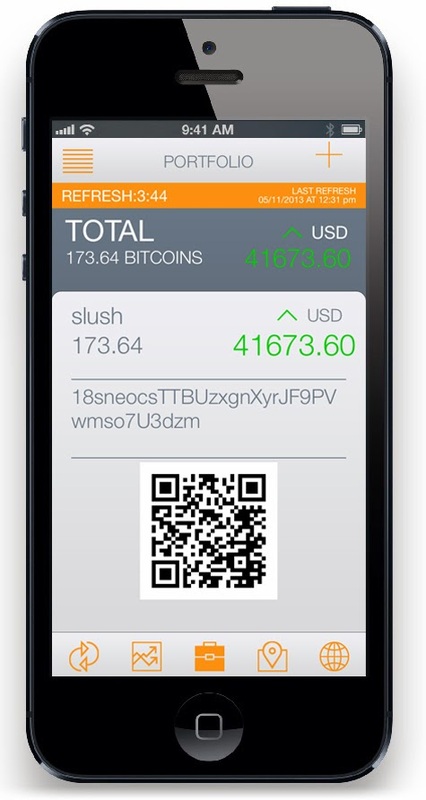 BitScan Features: Bitcoin in the palm of your hand: Tell us what you think! Bitcoin in the palm of your hand: Tell us what you think! Apologies for having been a little quiet over the past couple of weeks but this is due to the fact we’ve been working pretty hard on a very exciting BitScan project and we are now ready to announce the results of that work. Over the past few months we have been having a think about what the bitcoin community needs and judging from social media, news, forums, and conversations with fellow bitcoiners, what it really wants. We know the success of bitcoin relies on its continued growth and expansion into the mainstream so we've just been working hard to try to create something that will be of benefit to everyone. We realised people needed access to exchange information in all the major, global currencies; they needed access to news and information, and critically, at times, some clue as to what was happening on the markets. We thought people might find it useful to be able to check the value of their own bitcoin holdings in their wallets in real time, without having to constantly log in to their wallet client. Finally, what would be really useful, what would let people new to bitcoin see how functional it really is, would be information as to where they could spend those bitcoins in said wallets. A comprehensive directory of many of the businesses that take bitcoin around the world is not a new idea. But a directory, categorised with relevant information and – best of all, a map, to show where these business are actually located and which businesses can be found near where you live or happen to be at any given time, that was hard to find. And what about business owners themselves who want to list their business in such a directory or even sell one or two items from their business in a classified listing? Well, we thought about that as well. We also realised that a lot of that information could be found by scouring the web and searching endlessly on Google via many different websites: Until now. What if you could access all of that information and all of those resources on the one gadget you carry around with you all the time? What if there was one app, which enabled you to do and find all of the above? 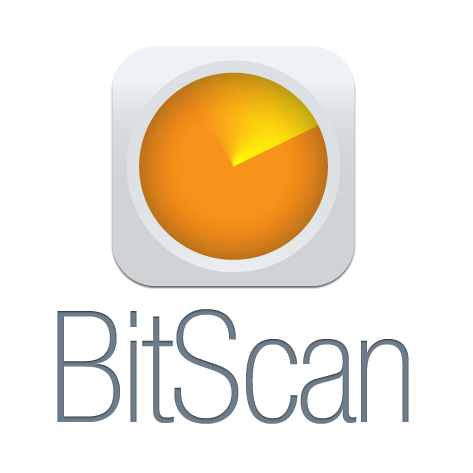 We would like to introduce to you, the new BitScan app! We have to admit, we are pretty excited about this. It is the fruits of many months of planning, researching, talking, head-scratching, late nights and early starts, but at the end of the day, it will only work if you love it. This is why we want to offer you an opportunity to test it out, and most importantly, give us your thoughts and opinions. After all, we created this app with the bitcoin community in mind and so it is you, the bitcoin community, we want to hear from. If you would like to give it a go and download our beta version, please let us know and we can invite you to do so. We welcome any feedback and would be grateful for your advice and support going forward during this final phase of development. 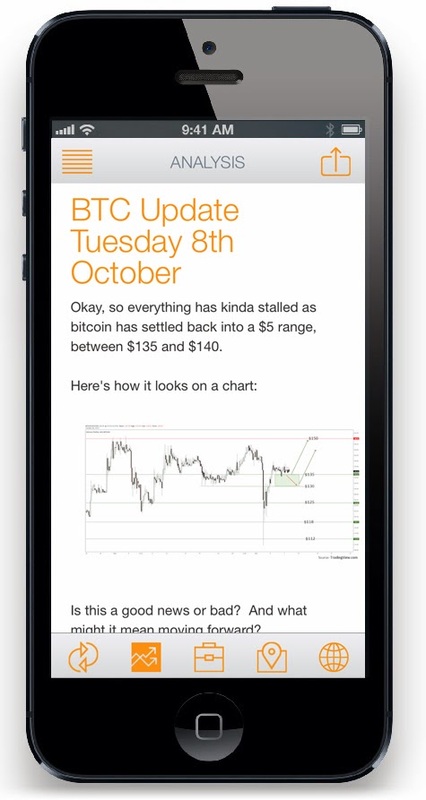 You’re familiar with our daily analysis and that is all contained within the app, including a calendar search function to choose which day’s commentary you want to view. 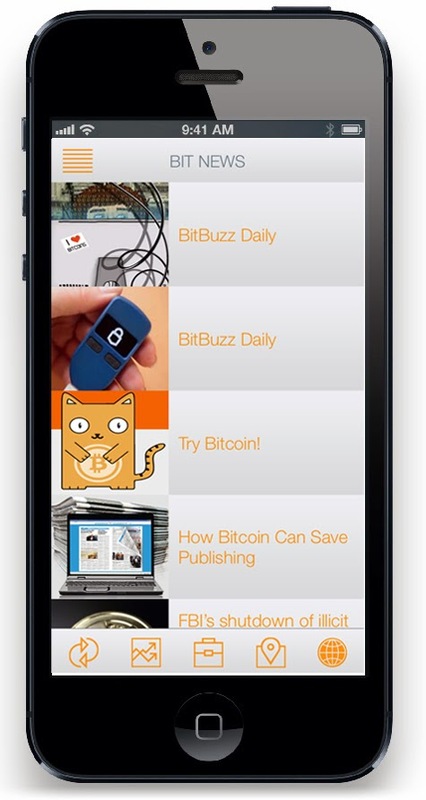 Our features will be available in the BitBuzz section, which will also include a daily roundup of the best bitcoin and financial or consumer news from around the web. Added to this we have a Portfolio feature, allowing you to keep track of your bitcoin holdings in numerous addresses in real time, tracked against the exchange of your choice. 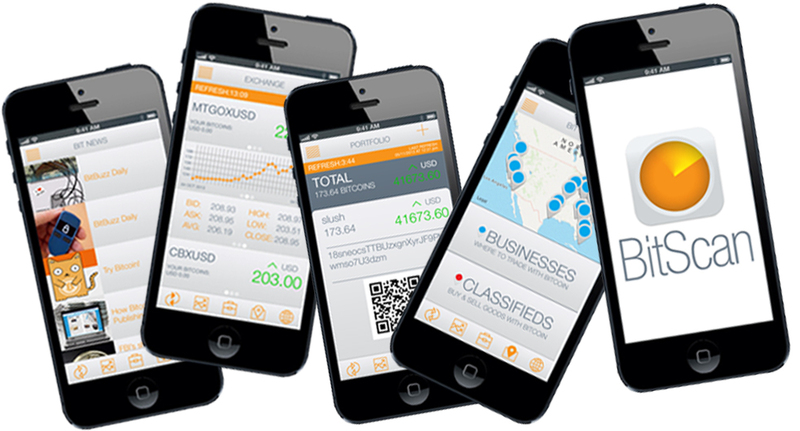 On to the Exchange section: here the app offers four customisable panels, in which you can choose the exchange and currency you wish to track. 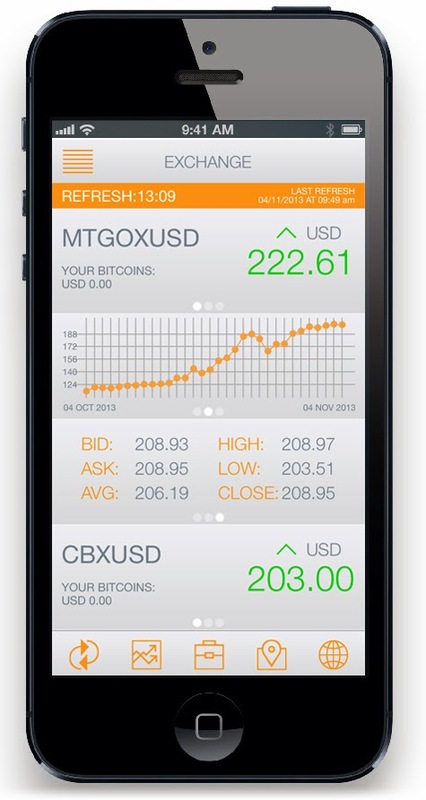 Each panel slides across so that you can view charts and spreads. Finally, the Trade section. It already features thousands of bitcoin businesses around the world. You can search for businesses by filtering the categories or click on the map to see what bitcoin businesses are in your area or across the globe. What’s more, if you are a merchant who is always on the move, our phone-toggle feature will allow you to link your phone to our map so that people can find you wherever you are. 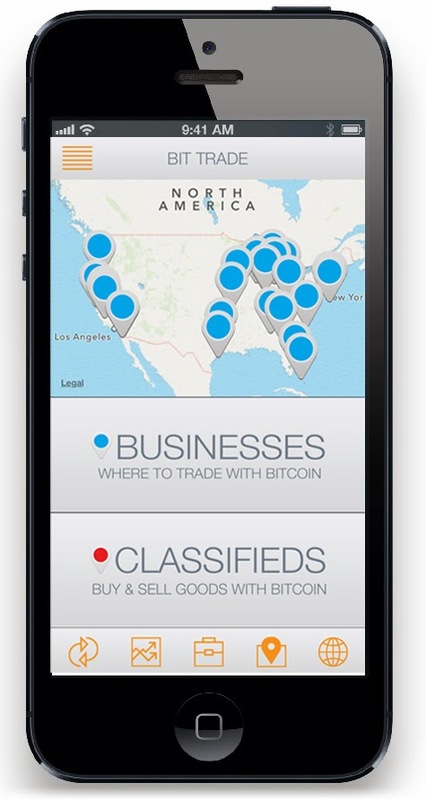 The classifieds section allows you to list an item for sale in bitcoins and this can be submitted via your handset. Not only can you submit a classified through the app, but you can also refer a business. If you know of or spot a business that accepts bitcoins, but which does not currently feature in our directory – let us know. We’ll even make it worth your while because if that business pays for premium advertising with us, you will get a 10% cut of any revenue that listing generates. Can’t say fairer than that. You can probably tell we're just a little bit excited about this new app - and our brand spanking new website, which will be launched alongside very soon. We hope you’ll find it a sleek, user-friendly, yet very functional app, packed full of features. We also hope you’ll agree with us that this is something the bitcoin community as a whole can benefit from - but we await your judgement. Minuscule website you feature. Do you already suffer Bitcoins? I would recommend to part up at who-accepts-bitcoins.com. They give create the interchange you beggary as their database is ofttimes searched by bitcoin spenders. It's footloose tho'!